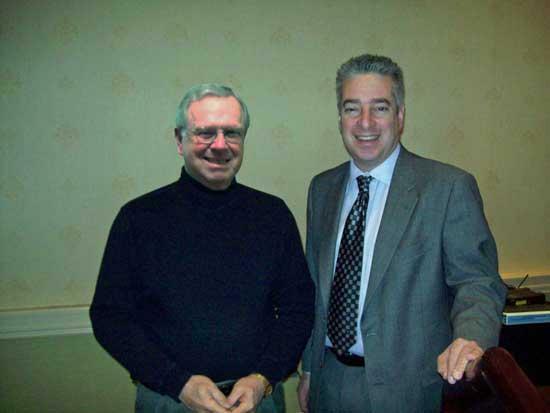 Constable Jim Gibbs and State Medical Examiner Bruce P. Levy, M.D. Constable Jim Gibbs attended the 2010 SIDS Trainer Conference held Friday, Feb. 12th in Brentwood. The purpose of the program is to train instructors for the state mandated program. The Sudden Unexplained Infant Death Investigation program was written to assist those who investigate infant deaths, and to alert first responders such as patrol officers, firefighters, search and rescue personal and emergency medical technicians to watch for important details needed to resolve the cause of death investigation. Actually, the program covers all children and teenagers up to their 18th birthday. The goal of the “Sudden Unexplained Infant Death” investigation is multifold. Titled Prevention Through Understanding: Investigating Unexpected Child Death the goal is to identify the cause of death as a preventative tool. Over the years considerable information has been developed to asset parents of newborn infants in avoiding situations that can lead to sudden infant death syndrome (SIDS). Findings are also used to propose legislation to protect the lives of our children at any age. The training also brings awareness to the grieving and suffering of the family and friends. Bereavement support services in Tennessee are covered as well as sensitivity training for the investigator and first responders. Using an investigative reenactment as a tool was also covered and recommended. The Tennessee Sudden Unexplained Child Death Act of 2001 states that all emergency medical technicians, firefighters, and law enforcement officers must receive training on handling cases of sudden, unexpected infant death as part of their basic and continuing training requirements. The SIDS Trainer Conference, Prevention through Understanding, is held for instructors of law enforcement officers, emergency medical technicians, and firefighters. Prevention through Understanding is intended to provide such professionals with the information they need to respond appropriately and respectfully to one of the most professionally and personally challenging situations faced in death scene investigation. The lead instructor of the train the trainer program was Doctor Bruce P. Levy, M.D., State Medical Examiner. The program was developed by Middle Tennessee State University Department of Continuing Education, which will provide materials and certification for the course to be taught to Cannon County emergency service personal.